Can you listen with an open mind and an open heart ? 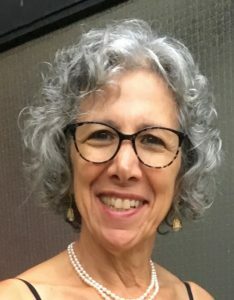 Lauri Klein is a Clinical Social Worker with a private counseling practice in Hingham, Massachusetts.She has over 30 years of experience as a psychotherapist and teacher. Lauri attended the Practicum in MBSR at “The Center for Mindfulness in Medicine, Healthcare and Society” at U Mass Medical Center in Worcester, Massachusetts. She has participated in workshops with Alice Domar, PhD, a pioneer in mind/body medicine for infertility. She has also trained with other innovators in the field of Mindfulness Based Interventions. She holds a certificate from the Institute for Meditation and Psychotherapy based in Newton, Massachusetts. Lauri is committed to creating a safe, supportive, and deeply engaging learning environment where you can feel comfortable that whatever you bring, you will be accepted and not be judged in any way. The name The Path to Mindful Living emerged from Lauri’s view that participating in a program that immerses you in mindful practices will inspire you to change the direction of your life. A long time meditator, Lauri regularly attends retreats and workshops that enhance her practice and understanding of mindfulness. Lauri is available to conduct on site mindfulness based programs, seminars or workshops tailored the needs of your organization or place of business. Although she is located on the **South Shore of Massachusetts, Lauri will travel in order to accommodate your needs. All programs include meditation training and other mindfulness skills that you can use the rest of your life and have roots in the clinically researched Mindfulness Based Stress Reduction program. **Weymouth, Norwell, Hingham, Cohassett, Duxbury, Scituate, Marshfield and other surrounding towns.